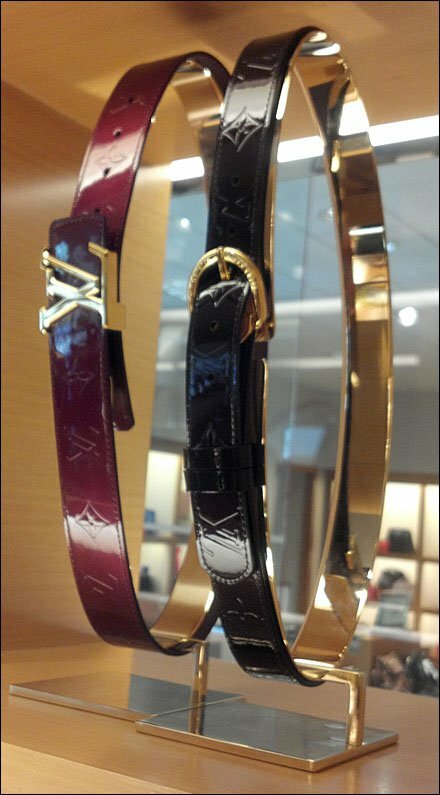 Fixtures similar to these Louis Vuitton Belt Loops For Retail have been documented across retail. But I will leave it to you to decide if Louis Vuitton does it better than others. 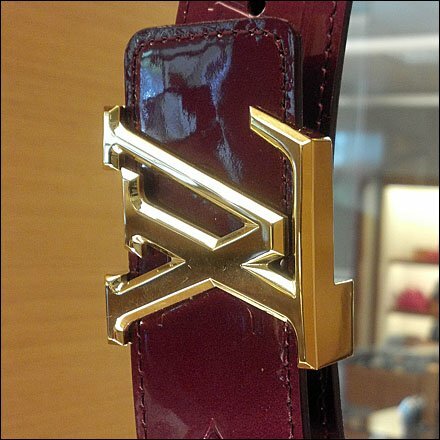 One thing that is better are the lightly embossed Vuitton emblems along the leather belts. CLICK the thumbnail for an LV belt buckle in closeup.